While cycling may well be the first modern sport in the sense of having become a full-fledged sport upon its invention, a group of cyclists shares responsibility for one of the biggest social disasters in the history of humankind. Exactly 100 years ago this week, military cyclists betrayed Russia and the Russian people. How ‘vain’ the early twentieth-century Russian cyclists actually were? 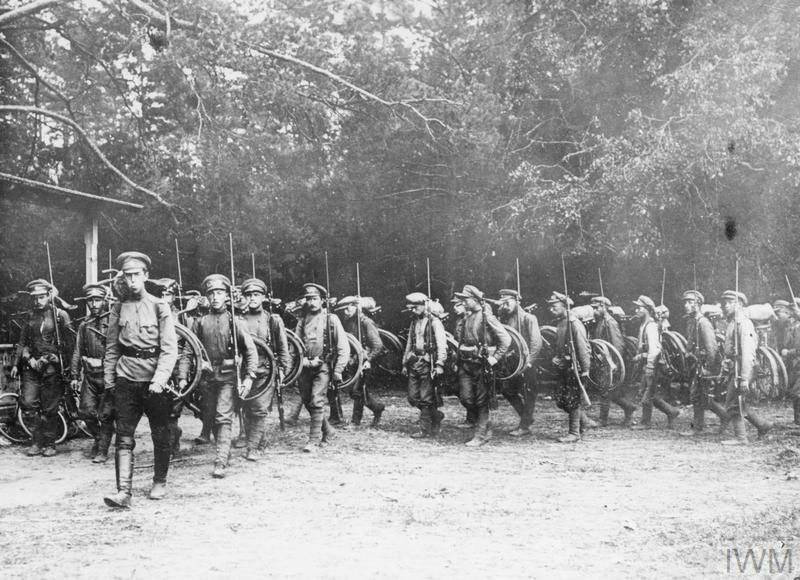 What Trotsky referred to was the initial refusal of the Russian army’s Bicycle Battalions to surrender in November 1917. Led by Trotsky himself, the Bolshevik putschists faced an immediate threat from the bicycle squad stationed at Petrograd’s (i.e. Saint Petersburg’s) Peter and Paul fortress. Once the fortress issue had been amicably solved, other cycling troops – those guarding the Winter Palace, seat of the Provisional Government – simply left their positions. They hurried home and had to be replaced by less competent guards. It still took a monstrous civil war, and millions of victims, to bring what was left of the Russian empire under Communist rule. What if the cycling soldiers, especially the 3rd Battalion, had not decided to switch allegiances? Just imagine hundreds of battle-hardened bikers storming into the capital, hunched over the handlebars and running down the rebels! In that case, cycling would surely have become a national pastime in Russia and statues of cyclists instead of Bolshevik bosses would adorn public spaces in today’s Russia.